From Houston, TX, Davis was ranked the #6 overall QB prospect by Scout.com and the #1 QB overall from the state of Texas. He held offers from Auburn, Arkansas, Alabama and LSU, but decided to stay close to home, committing to Texas A&M. After redshirting, Davis decided to transfer to SMU, where he blossomed. 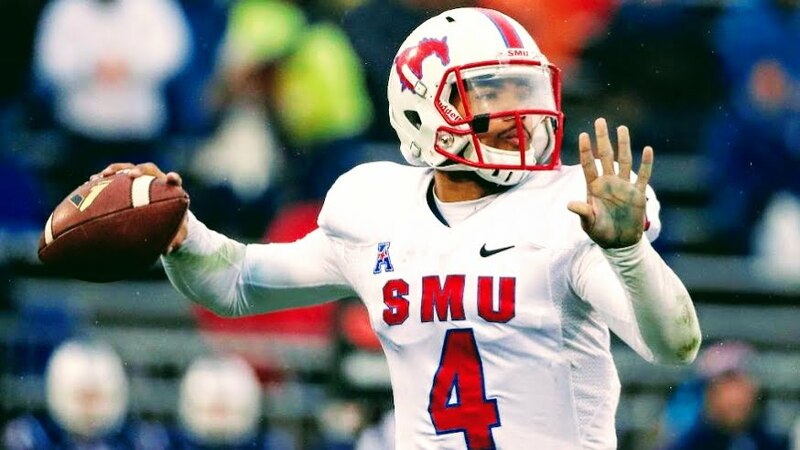 As a sophomore at SMU, the dual threat standout set a school record for highest rushing totals by a QB. Then, as a junior, Davis started 11 games and recorded 2,263 passing yards and 16 TD’s and rushed for 761 yards and 10 rushing TD’s. He was also a stellar student athlete, as he was named to the AAC Honor Roll twice. Davis entered the 2016 with high expectations, but unfortunately tore his ACL early in the season. Despite the injury, the Houston Texans and Los Angeles Rams were intrigued with his potential, and Davis received a rookie minicamp invite from the Los Angeles Rams. In 2018, the the 6’2″, 210 lb QB will join The Spring League in hopes of proving to NFL scouts he’s fully healthy, explosive, and ready to take his immense talents to football’s greatest stage.